Polestar will follow up the launch of its 592bhp Polestar 1 hybrid coupe with the Polestar 2, a pure electric saloon car designed to rival the Tesla Model 3. A new teaser has confirmed that the Polestar 2 will make its debut later this year at the Geneva motor show in March, before going on sale towards the end of 2019 with prices in the $45k-60k ballpark. Our first look at the car reveals that the Polestar 2 features a toned-down version of the simplistic design found in the Polestar 1 with the addition of a wraparound brake light, something not found on the hybrid flagship. Although it hints towards a hatchback design, no further details have been announced with the image. Built on Volvo’s CMA (Compact Modular Architecture) platform, the Polestar 2 is likely to diverge further from the Polestar 1’s Volvo-inspired styling as the brand seeks to establish its own signature look. However, the Polestar 1’s use of specialist performance-part manufacturers – Öhlins and Akebono – for its suspension and braking systems may well be mirrored by the new, more affordable car. 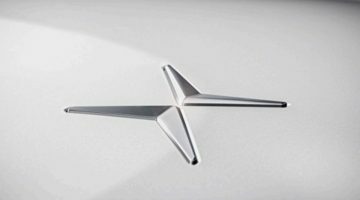 Polestar will certainly pursue its focus on driving dynamics with the Polestar 2, the company intent on positioning itself as a performance EV brand that can deliver to customers who aren’t excited by the current crop of stylish and safe Volvos. Speaking to us at the 2018 Goodwood Festival of Speed, Polestar’s chief operating officer Jonathan Goodman revealed his intention that Polestar cars will always be ‘great looking cars that add a dimension, as far as Volvo is concerned, because they’ll be designed as driver’s cars’. Although the Polestar 1 is a hybrid that combines electric propulsion with a turbocharged 2.0-litre petrol engine, the Polestar 2 and all future Polestar models will be pure EVs. 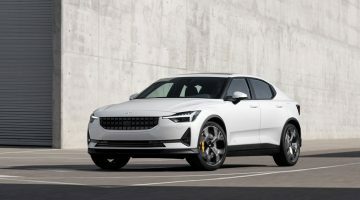 Polestar is targeting a range of 310 miles for both the Polestar 2 and the Polestar 3, the latter launching towards the end of 2021. Polestar is also looking to break with tradition in the way it sells its new range of cars. They won’t be sold through Volvo dealers and instead will the promoted through ‘Polestar Spaces’ – smaller town-centre showrooms designed to make it easy for customers to discover more about the cars. What we will see in Volvo showrooms is the ‘Polestar Engineered’ range of Volvos, starting with the recently unveiled Volvo S60 T8 Polestar Engineered and followed by V60 and XC60 versions. The Polestar Engineered S60 gets a modest power upgrade to 409bhp and 494b ft of torque – compared to 395bhp and 472b ft in the standard T8 model – but there are also brake and suspension upgrades to enhance the driving experience. We would expect a similar recipe as the Polestar Engineered range rolls out to the other Volvo models.